Global declines of coral reefs—particularly in the Caribbean—have spurred efforts to grow corals in underwater nurseries and transplant them to enable recovery. However, current approaches rarely incorporate the key ecological reef processes critical to facilitating restoration and improving the odds of success. In a new paper published in the journal Frontiers in Ecology and the Environment, UC Santa Barbara scientists and their colleagues advocate for the integration of essential natural processes to exploit dynamic ecological forces and drive recovery of coral reef ecosystems. Using existing scientific literature coupled with original research they outline a scientific framework aimed at advancing the emerging field of coral restoration. "We don't have a lot of science to guide how we actually conduct coral restoration," said co-author Deron Burkepile, an associate professor in UCSB's Department of Ecology, Evolution, and Marine Biology (EEMB). "The next phase of coral restoration must focus on harnessing ecological processes that drive community dynamics on coral reefs to help facilitate the establishment and growth of restored corals." The researchers examined five critical ecological processes—herbivory, competition, predation, nutrient cycling and recruitment—that drive coral reef functions to determine how to maximize recovery of an endangered coral species, Acropora cervicornis. 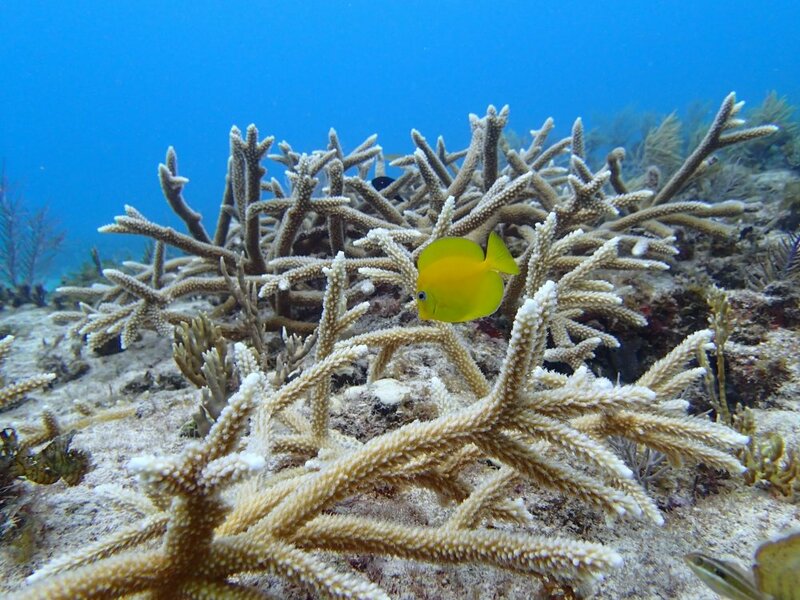 Also known as staghorn coral, this large fast-growing species is common in the Caribbean.